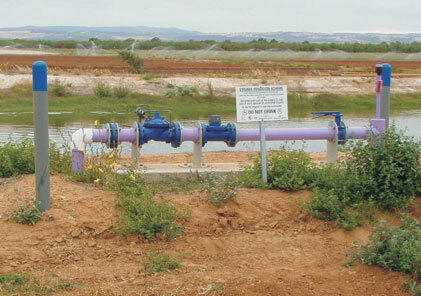 Information > Frequently Asked Questions > How do I know where recycled water is used? How do I know where recycled water is used? 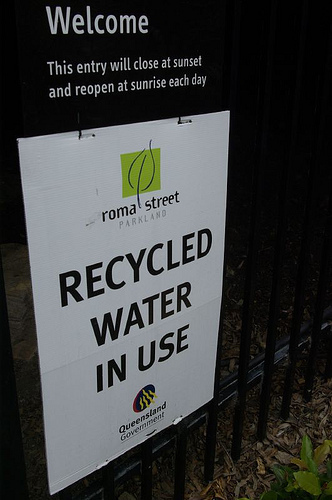 In Australia, recycled water plumbing and taps are identified by their colour. Generally, Australian design standards (AS/NZS 3500.5:2000) require all plumbing outlets, and in most cases pipes, to be marked with the colour lilac/light purple and the words: “RECYCLED WATER — CAUTION NOT FOR DRINKING” or similar as approved by the relevant state authority. 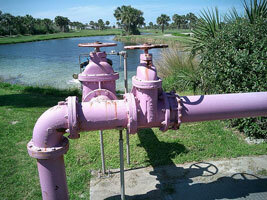 Examples of the purple/lilac plumbing to denote use of recycled water. 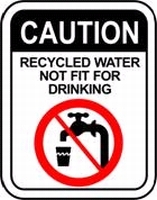 Note: if the water is treated to a level so it is fit for the purpose of drinking, no signage is required.